Shiseido Lacquer Rouge and Lacquer Gloss - with swatches! 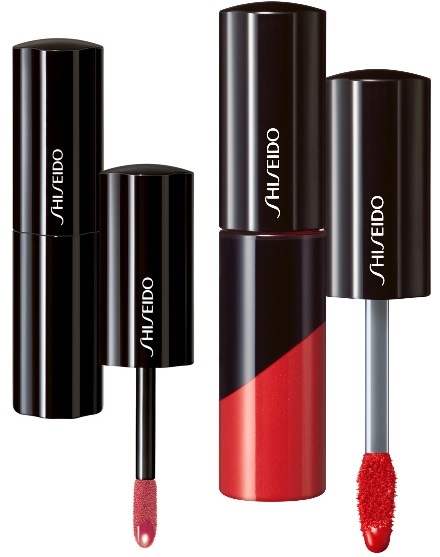 Shiseido introduces a couple of new lip products inspired by traditional Japanese coloured and transparent lacquer - they both have a nice shininess to them so the real difference is one has more opaque colour while the other is more sheer. Shiseido Lacquer Rouge - $30 - in 7 shades: RD319 Pomodoro, RD320 Sunburn, RD321 Ebi, RS322 Metalrose, RS723 hellebore, VI324 Indiscreet, PK425 Bonbon - with intense colour, a rich luster and a moisturizing effect that lasts for hours. Shiseido Lacquer Gloss - $27 - in 8 shades: BR301 Mocha, BE102 Debut, OR303 In The Flesh, PK304 Baby Doll, RD305 Lust, RS306 Plum Wine, VI207 Nebula, VI708 Phantom - for shine with a complex transparency, as though multiple layers have been applied with clear colour and a dewy smooth feel.